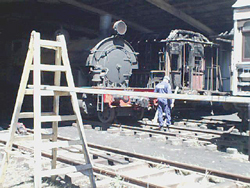 launched to raise funds for repair and restoration work. 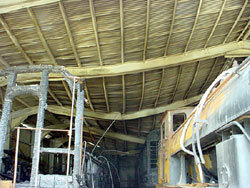 For an update on the fire damage please see the Jan/Feb 2002 Gully Gazette. 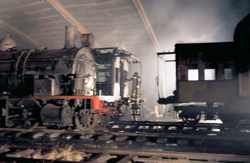 The glow from the fire casts an eerie light over Steam Loco 2605 and surrounding carriages inside the Shed. 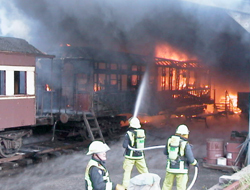 The blaze in progress with firemen hard at work. 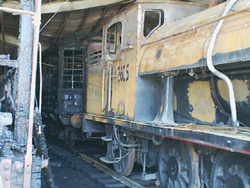 One of the end platform cars has already been burnt out. 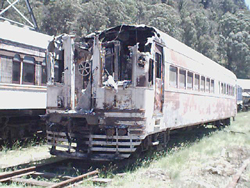 Damage to one end of an end platform car. 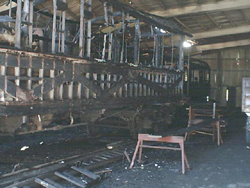 A burnt out car inside the Shed. 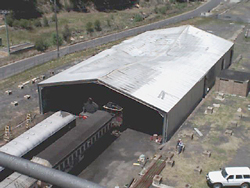 A view from the top of the Poppet Head clearly shows the buckled roof of the Shed and damaged cars. 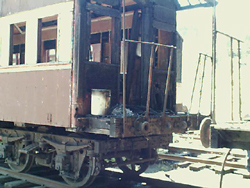 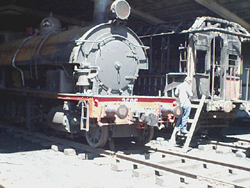 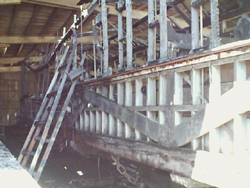 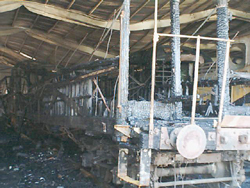 One end of railcar driving trailer 761 showing the fire damage. 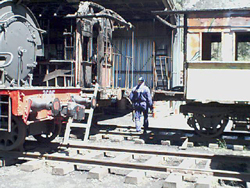 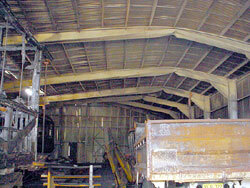 Rail operations were due to commence at State Mine within the next two weeks using this car.